Lots of us have seen stuff recently telling us how bad plastic litter is in places such as Pacific islands and the Arctic, but much closer to home there is just tons of it too. 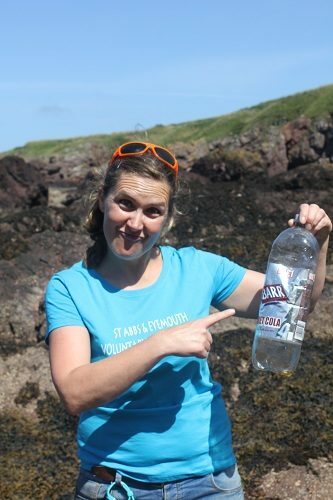 I had a day out in sunny Eyemouth recently to join a beach clean, and afterwards sat down on Eyemouth harbour wall with the enthusiastic organiser of the event to capture her thoughts on the issue. It’s shocking at times but Sarah Russell has a message for us: we have to try to do something about it. Thanks to the Marine Conservation Society too for getting me to go along, and thanks to the gulls for giving me such great atmos!